Check back as we are always looking for new gluten-free brands. Please note this is not a complete list of gluten-free brands. The list below connects you directly with manufacturers that are either exclusively gluten-free or offer gluten-free items. To find out more information on each brand click on the icon and it will take you directly to their website. Against the Grain specializes in gluten-free. Their products include, pizzas, pita bread, baguettes, bread, bagels, rolls, cookies, and more. Amy’s offers gluten-free items, along with non-gluten-free items. Gluten-free items include frozen entrées and pizzas. Ancient Harvest specializes in gluten-free, along with organic and non-GMO. Their products include pastas, quinoa, amaranth, millet, polenta, and hot cereals. Annie’s has gluten-free and non-gluten-free products. Gluten-free items include macaroni and cheese, cookies, fruit snacks, granola bars, and popcorn. Applegate offers lots of gluten-free options. Their gluten-free products include deli meats, hot dogs, corn dogs, sausages, chicken nuggets, chicken breasts, bacon, pork chops, and deli cheeses. Arrowhead Mills offers gluten-free and non-gluten-free items. Their gluten-free products include baking mixes, beans, grains, seeds, flours, peanut butter, cornmeal, and cereals. Beanitos specializes in chips made of different types of beans. They are non-GMO verified and are certified gluten-free. Their chip varieties include Black Bean Chipotle BBQ, White Bean Garden Fresh Salsa, White Bean Nacho Cheese, and many more. Bella specializes in gluten-free. Their products are certified gluten-free and non-GMO verified and include baking mixes (for pizza crust, pie crust, rolls, brownies, scones, and biscuits) and all-purpose flour mix. 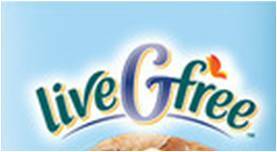 BFree specializes in items that are certified gluten-free and non-gmo. Their products include bread, rolls, wraps, pita bread, and bagels. 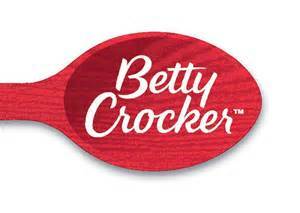 Betty Crocker has products that are gluten-free. They include baking mixes for brownies, cookies, and cakes and a rice flour blend. Bionaturae offers gluten-free products and specializes in pastas. Their products include gluten-free and organic pastas, fruit spreads, and tomatoes. Bob’s Red Mill offers multiple gluten-free products, including baking mixes, bread mixes, flours, oats, and granola. Breton offers four different flavors of gluten-free crackers that are certified gluten-free by the Canadian Celiac Association's Gluten Free. Canyon Bakehouse specialize in gluten-free breads. Their products include bread, buns, bagels, and even brownie bites. Chebe specializes in certified gluten-free baking mixes. 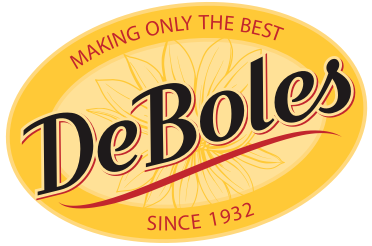 DeBoles offers certified gluten-free pastas. 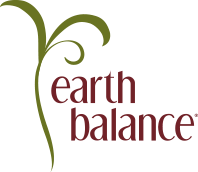 Earth Balance offers gluten-free items that are also vegan and non-gmo. Their items include, buttery spreads, baking sticks, nut butters, mayo, and snacks. Ener-G specializes in gluten-free items. Their products include egg replacer, crackers, pretzels, baking mixes, pizza crust, breads, flours, doughnuts, English muffins, dinner rolls, hamburger buns, hot dog buns, and communion wafers. Enjoy Life specializes in gluten-free foods—more specifically, allergen-free foods. Their products include chocolate bars, baking chocolate, Plentils (chips made from lentils), chewy bars, nut and seed mixes, soft baked bars, soft cookies, crunchy cookies, and baking mixes. 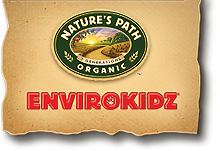 EnviroKidz specializes in gluten-free. Their products are certified gluten-free and include cereals, granola bars, and rice bars. Freedom Foods offer gluten-free items. Their products include cereals, muesli, muesli bars, rice milk, soy milk, quinoa chips, and more. 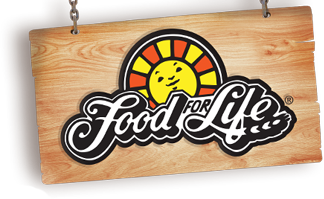 Food for Life offers gluten-free products, including breads, English muffins, and tortillas. Full Circle offers a variety of gluten-free products. Their products include snacks, condiments, canned goods, pastas, and much more. Gluten-Free Cafe specializes in certified gluten-free items that include soups, entrees, and sesame snack bars. Glutino specializes in gluten-free products, including baking mixes, bagels, English muffins, breads, breakfast bars, chips, pretzels, cookies, wafers, crackers, pizzas, bread crumbs, and toaster pastries. Goldbaum’s specializes in gluten-free products, including crackers, ice cream cones, soup accompaniments, snacks, and pastas. Hodgson Mill offers gluten-free products with additional gluten-free certification. Their gluten-free products include pastas, baking mixes, oats, quinoa blends, rice blends, flax seed, xanthan gum, flours, and sorghum. Ian's Natural Foods specialize in gluten-free and allergen-free items. Their items include croutons, chicken nuggets, bread crumbs, potato puffs, french toast sticks, pizza bread, onion rings, and fish sticks. Jovial offers certified gluten-free items, including pastas, flours, cookies, tomato sauces, olive oil, and beans. King Arthur offers gluten-free items, including baking mixes, flours, and xanthan gum. 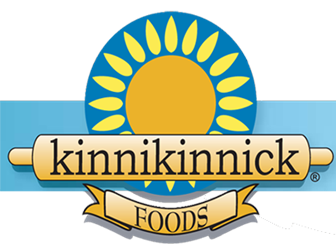 Kinnikinnick specializes in gluten-free. Their products include breads, buns, bagels, baking mixes, doughnuts, waffles, muffins, cookies, and pizza crust. Aldi’s grocery store carries their own gluten-free brand. They offer a multitude of gluten-free items. Their growing product list includes breads, tortillas, crackers, baking mixes, granola, cookies, pretzels, and pastas. Lundberg offers gluten-free items certified non-GMO. Their products include pastas, risottos, chips, and rice and rice dishes. Midel offers gluten-free items, including different types of cookies, such as ginger snaps and chocolate chip. Namaste specializes in gluten-free items, including baking mixes, soups, coating mixes, flours, egg replacer, xanthan gum, starches, rice milk powder, and pasta dinners. 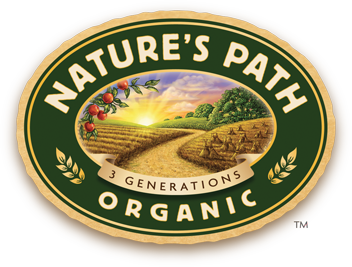 Nature’s Path offers certified gluten-free items, including cereals, granola, granola bars, oats, frozen waffles, and rice bars. Orgran offers gluten-free items, including pastas, crackers, croutons, egg replacer, flours, pudding mix, falafel mix, baking mixes, cereals, bread crumbs, and biscuits. Otto's Naturals specialize in gluten-free cassava flour. Cassava flour comes from the yucca root and is grain-free, gluten-free, and nut-free. Pamela’s specializes in gluten-free items, including flour mixes, baking mixes, cookies, fig bars, biscotti, graham crackers, and Whenever Bars. Rudi’s Bakery offers gluten-free items, including breads, buns, rolls, toast, and tortillas. Schar specializes in gluten-free items, including baking mixes, pasta, croissants, croutons, bread crumbs, breads, buns, pizza, wafers, crackers, bread sticks, and cookies. 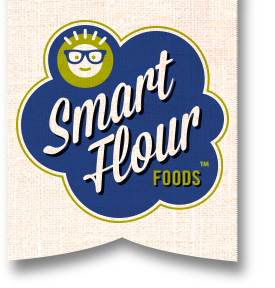 Smart Flour specializes in gluten-free items. Their products include pizza crust, flatbread, hoagie rolls, and hamburger buns. 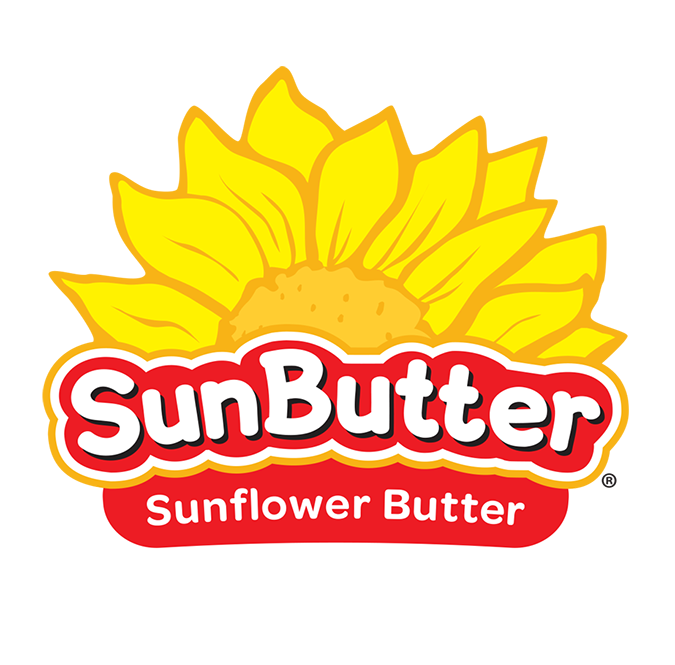 SunButter specialize in gluten-free sunflower seed butter. It is free from the top eight allergens. 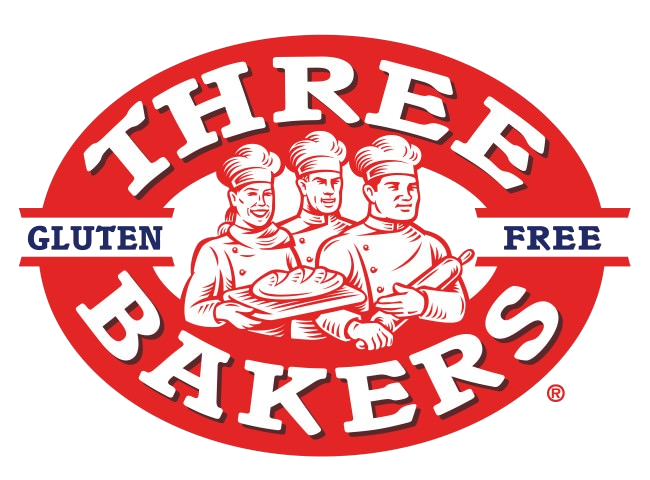 Three Bakers specializes in gluten-free items, including breads, buns, hoagie rolls, stuffing, pizzas, and pizza crust. 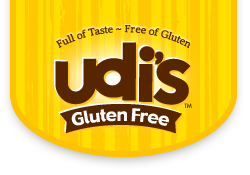 Udi’s specializes in items certified gluten-free. Their products include breads, rolls, buns, bagels, granola, granola bars, muffins, cookies, tortillas, chips, frozen meals, and burritos. Van’s offers gluten-free items, including chips, crackers, cereals, cinnamon toast sticks, granola, pancakes, waffles, snack bars, and pastas. Wildtree offers gluten-free items, including meat rubs, jams, oils, seasoning blends, skillet meals, baking mixes, dip mixes, frozen alcoholic drink mixes, and sauces. XO Baking Company specializes in items that are certified gluten-free and non-GMO verified. Their products include baking mixes and frosting mixes.